The Wort Report: News Flash! Er, Flash News! News Flash! Er, Flash News! 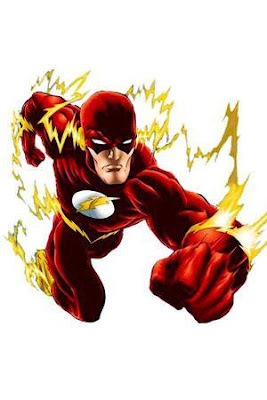 MTV.com is reporting that Wedding Crashers director David Dobkin will helm the upcoming superhero flick, “The Flash,” which will be a spinoff of George Miller’s upcoming Justice League film. In the running (pun intended) to play the title character? Rumor has it Adam Brody (The OC’s Seth Cohen) may be attached to play Wally West. For those keeping track, this would also mean that Brody would be playing the role in Justice League. It’s fascinating how quickly Warner Bros. is churning out these DC Comics adaptations. I mean, Justice League is still in the planning stages and they’re already gearing up for follow-up projects? Did they forget how badly Catwoman bombed? Warners: Take your time. We’ll be patient, I promise. Wasnt catwoman completely unrelated to the DC character? How Does One "Superman" a Ho? The Father, The Son, and the Holy Needler?